A new treatment for PTSD sounds downright futuristic: researchers believe that stimulating genes that help with learning new behaviors in fear-conditioned mice could teach us how to combat deeply entrenched post-traumatic stress disorder in humans. Up until now, exposure therapy has been the most effective course of treatment for those revisiting anxiety from distant memories, and it hasn't proven terribly effective. But now, scientists at MIT have found a way to physically alter the neurons associated with memory so that they become healthier, more robust, and allow their subjects to supplant residual fears. The study, published in the Cell journal, promises to solve the problem of how to help the 29 percent of diagnosed PTSD sufferers who battle with negative, persistent memories. Study author Li-Huei Tsai, a neurobiologist and director of Picower Institute for Learning and Memory at MIT, said "we can see that this treatment can markedly increase synaptic density, and synapses are the basic unit for the communication between neurons." That conditioning is what helps subjects to combat fear. In other words, the fear isn't banished, so much as supplanted. Previous research has shown that neurons in the hippocampus can undergo significant changes after short-term memories are induced, but not after recall of distant memories. That's what you call neuroplasticity, something that's mediated by our genes. Trainers used Pavlovian conditioning to get mice to associate a tone or a setting (which in the case of this experiment was a cage) with a shock. They then exposed the mice repeatedly to the tone or context without the subsequent shock, until they ceased to freeze in response to that stimulus. 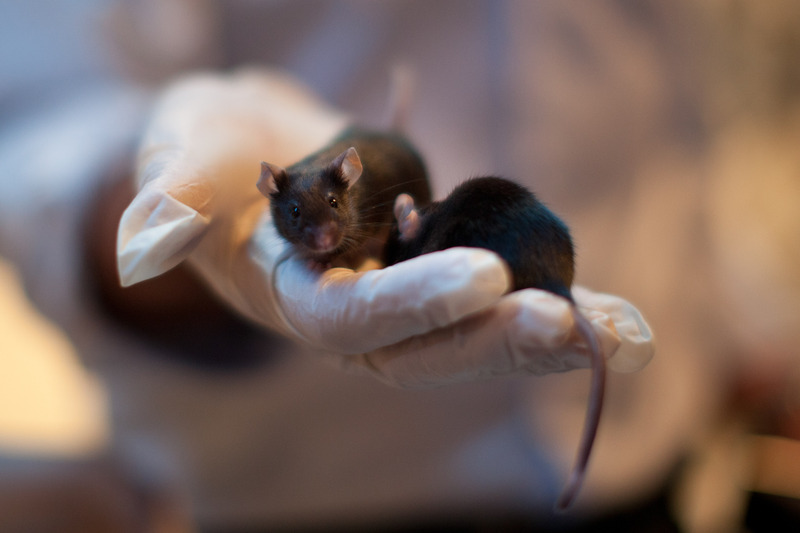 Some mice underwent this training in one long session, while others received short sessions over four days (a therapy timing thought to have greater effect among humans). In the mice tested the next day, fear responses to the conditioned stimulus were much reduced. For mice tested much later, fear responses remained. But when researchers administered a compound called a histone deacetylase inhibitor after the exposure to the conditioned stimulus — but before each of the extinction training regimes — the mice’s fear response was reduced, even for the relatively distant memories. Significantly, the fear-conditioned mice that no longer responded fearfully to a context after the multi-session extinction training still responded fearfully to a tone, suggesting that the original memory wasn't being replaced so much as re-associated. Although it's unclear yet whether epigenetic therapies like this can be applied to humans without causing harm, Tsai and his team now plan to explore effects on other parts of the brain, as well as non-pharmaceutical ways to stimulate gene expression, such as using light, a process known as optogenetics.